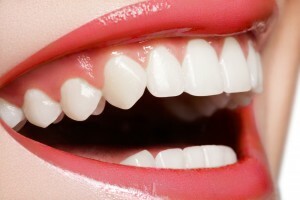 Do you often find that you avoid smiling in social situations because of a chipped or broken tooth? Perhaps you feel self-conscious about your appearance because of discolored enamel or oddly shaped teeth? At Cosmetic & Family Dentistry in Weatherford, TX, Dr. Deborah A. Romack and Dr. Garrett Mulkey provide men and women with an all-encompassing array of cosmetic dental solutions to revitalize their smiles and restore their confidence. One of the most common cosmetic solutions is dental bonding. How Does Cosmetic Bonding Work? The composite resin bonding material used to mask and correct dental imperfections is color-matched specifically to blend in with the rest of your smile. Very minimal tooth preparation is needed and, in most cases, anesthesia isn’t necessary. The durable, tooth-colored material is meticulously shaped to promote a natural look, and the process typically only takes about an hour to complete. Because our doctors understand that each patient’s needs are unique, we’ll be happy to sit down and talk with you about your needs, expectations, desires, and concerns. We’re not satisfied until you are thrilled with your new appearance. If you’ve been putting off seeking cosmetic dentistry for years because you thought it might be prohibitively expensive or time-consuming, consider cosmetic bonding at Cosmetic & Family Dentistry in Weatherford, TX. This common, relatively simple procedure can transform the appearance of your teeth and reinvigorate your smile. Contact us today to schedule your consultation and find out for yourself what our extensive selection of cosmetic solutions can do for you. Our practice warmly welcomes patients from throughout the surrounding areas, including Mineral Wells, Benbrook, Saginaw, Azle, White Settlement, and more.